J.D. 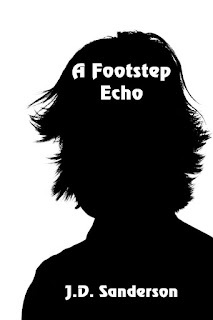 Sanderson appears today with his tale, A Footstep Echo. “Sanderson blew my temporally-frazzled mind multiple times as the battle ranged from past to present ... and even in-between.” - William F. Aicher - Author of The Unfortunate Expiration of Mr. David S. Sparks. J.D. Sanderson lives in Central South Dakota with his wife, daughter, and miniature poodle. With the release of A Footstep Echo, J.D. takes his first foray into the world of serialized science fiction storytelling. With a little luck, he hopes to continue developing the characters and universe that he began this three part sci-fi mystery novel.